For as long as I can remember, I have known who Jesus is. And this particular refrain of the beloved hymn It Is Well With My Soul echoes consistently and steadily in my head, a drumbeat of God’s unfailing love for me. Wrought deftly into song, those words carry the entire idea behind Christianity, the ethos behind placing one’s faith in Jesus Christ: that for our benefit, and for the benefit of the world, Jesus Christ shed His blood on Calvary for the salvation of our souls. And for the same amount of time, virtually my entire life, I have known that I was gay. From the time I was a young child I’ve known that I was different from the other girls - they fawned over Omarion from B2K, and I fawned over Aaliyah (her death hit me like a freight train, I’m still not over it). While I will find the odd, one-off, individual man handsome - namely Sterling K. Brown of This Is Us, because that brotha is truly fine - there’s nothing that can convince me to pursue intimacy with one. I love and respect men, have a loving father and two wonderful brothers, plenty of male friends and I respect genuine manhood. But that’s about where it stops. If you follow me on Instagram, you might wonder why I talk about being gay and being a Christian so much. It’s because I desperately want to be the positive example for LGBT Christian teens that I needed when I was a teen. I firmly believe that LGBT Christian teens need adult role models who are like them - LGBT adults who are devout Christians of all denominations, faithful to desire, hear, and do God’s will in their lives, and living a Gospel-centered life. I was raised in a very typical Black Christian household - lots of Gospel music, Bible memory, prayer, and veiled threats of God’s wrath for misbehavior. Jokes aside, my faith has been the cornerstone of my life and the life of my family since before I was born. My father was raised by a devout Catholic mother and an ambivalent father, and my mom was raised Episcopalian. How we ended up in a Holiness church is a longer story for another day, but nevertheless, that culture was the groundwork of my life and my faith. We were a shouting, tongue-speaking, very loud testifying bunch - but it was home. Christmas cookies from the first Christmas after I really started believing again. In adolescence, however, my faith faltered. After suffering years of severe bullying that left me with post-traumatic stress reactions, struggling unceasingly with my mental health, and feeling more profoundly alone than ever, I felt certain that Jesus had forgotten about me altogether. I remember thinking that God didn’t care about me at all - and that it was my fault. How was I, so small and so wounded, to be remembered even a little bit by the King and Creator of the Universe? I was unmemorable, surely, and on top of that, broken - because I was gay. I realized that I couldn’t be a Christian anymore because of how mainstream “Christians” (read: right wingers) were treating immigrants, gay people, poor folks, and people of color. I was a theater kid and your typical teenage Rent-head - I wanted equality for all, free love, and kindness to reign. I didn’t see that reflected in the mainstream Church, so I walked away from Jesus and explored Judaism and Islam intently for about a year, each. I still have a deep and abiding respect for those two faith traditions, their cultures, and the beauty of our shared heritage in Abraham. Slowly, steadily though, I turned to my first and eternal love - books - to help determine whether or not my gayness was my fault, whether I was broken, and whether or not I had chosen to be this way. The answer to all of that was a resounding “no”, as I’m sure you’ve all figured out by now. The more I read, the more confident I grew in who I was - just a plain old, garden-variety lesbian; and I was fine with that. For the first time in my life I could declare myself with pride, an indescribable feeling for a little girl who used to cry herself to sleep every night because of the cruelty of others and the painful sting of being different in almost every single way. In my heart, however, there was still something missing. I began to feel the pulling, the tugging of something intangible - and even though I was loath to admit it, I knew in my mind that it was the Holy Spirit. I began to tread very carefully into the waters of the internet, looking for affirmation, community, and shared identity - could you really be gay and a Christian? I prowled the internet and the library day and night and, for the first time in a long time, began to pray again. As a child, I had always prayed compulsory prayers - before meals, before trips, before bed, etc. I bowed my head, I closed my eyes, I listened, but I never truly felt the Holy Spirit in the way others around me claimed to. I thought I was just bad, or that I wasn’t trying hard enough - neither thing was true. I wasn’t bad, I just hadn’t developed enough of a personal relationship with God to hear His leading through the Holy Spirit - it was a missed step in my own spiritual development, one that is intended to happen right around the time I stopped believing, in early adolescence. I had never really created or maintained a strong prayer life because I didn’t know how. Gradually, God chipped away at my hardened heart and I began to truly pursue His leading. After a time, I was met with a heretofore unknown feeling for me - overwhelming peace. I began to speak out about living in those seemingly incongruous identities, and how the days can be long and the road rough and lonely. From every corner came the cries of “Me, too!”, and “I thought I was alone”, and “Thank you so much for showing me it’s possible” - just like my journey with mental illness, I wanted people to know they weren’t alone, they weren’t broken, and they weren’t an abomination - they were wonderful just as God made them. That brings us to a few weeks ago, when I got a DM on Instagram. I’d known this woman purely through social media, and she’d become somewhat of a hero of mine. The work she was doing inspired me and challenged me, and I looked forward to her daily updates about life in the beautiful but complicated country in which she and her family were serving. Her faith in Christ was blended with down to Earth humor, anti-racist allyship, and authenticity. I knew she had several kids of varying ages, both by birth and by adoption. One night around Christmas, she messaged me asking if I’d be so kind as to help her hold up a mirror for one of her kids in particular - her teenaged son, Isaac. He’d recently come out to his family, and she, being the loving mother she is, wanted to ensure that he could find community, affirmation, encouragement and friendship. She wanted me to share my perspective with him, and see if I could perhaps assemble a few others to do so as well: what is it like to be Black, gay, and a Christian? The world slings arrows at us all, but when you fall into all of those identities like I do, and like Isaac does, those arrows can come harder and faster than you ever anticipate. Without divulging details (“Isaac” is a pseudonym), I tried to pour into Isaac the love I have steadily received over time - love that, admittedly, would’ve been helpful in one lump deposit when I was his age. I pored and prayed over what to write. I feared saying the “wrong” thing, and I was wary of sounding too “preachy” - I wanted to share with him the very real trials that can come with being Black and Gay in this world, but I didn’t want to alienate or scare him. I asked myself over and over again, what would 16-year-old me have wanted to hear?I spent so much time as an older teen and young adult unlearning the shame and self-hate that can torment a young gay person who is coming out or considering coming out, and I’ll never get those hours, weeks, months back. But I can reclaim my time in other ways - I can put that love and encouragement back into the universe by investing and pouring into a young person like Isaac. And that’s what I set out to do. Below you will find, reprinted in it’s entirety, the email I sent to Isaac and his parents. I hope it will bless you. You are worthy. You are precious in God’s sight. You are excellent the way you are. You are not a mistake, an abomination, or a fraud. I’m Sydney. I am a professional ballet dancer, singer and actor. I’ve auditioned for Hamilton. I’m the youngest of five children. I am originally from Washington, DC, a swampy little city that you and we all know and love as our Nation’s Capital. Now, however, I live in New York City. I am married to my amazing wife, Elena, who is a software engineer. We have a Dachshund puppy named Watson who thinks he runs the place.Your Mom honored me by reaching out to me and asking if I’d write to you, and try to hold up a mirror for you of what life is like as a Black, gay person who lives for and loves the Gospel of Our Lord Jesus Christ. It might feel like you’ve been backed into a corner, especially as you grow into being a Black man in a world that does not love Black people enough, and into being a gay man in a world that demands a certain brand of toxic masculinity that is out of line with what your mother tells me is your joyful, kind, gentle spirit. Know this: you are not less of a man because you are gay, and you are not less Black because you are gay, and you are no less gay because you are a Christian. In truth, you are better, more magical even, for being all of these things at once. Your existence is resistance. And I want you to remember that. The fact that you are a Gay Black Man who loves the Lord and is surviving and thriving - that by itself is a threat to the establishment of racism, of sexism, and of homophobia. You go, boy. You were created by God for such a time as this. You are not a mistake. It won’t be easy. 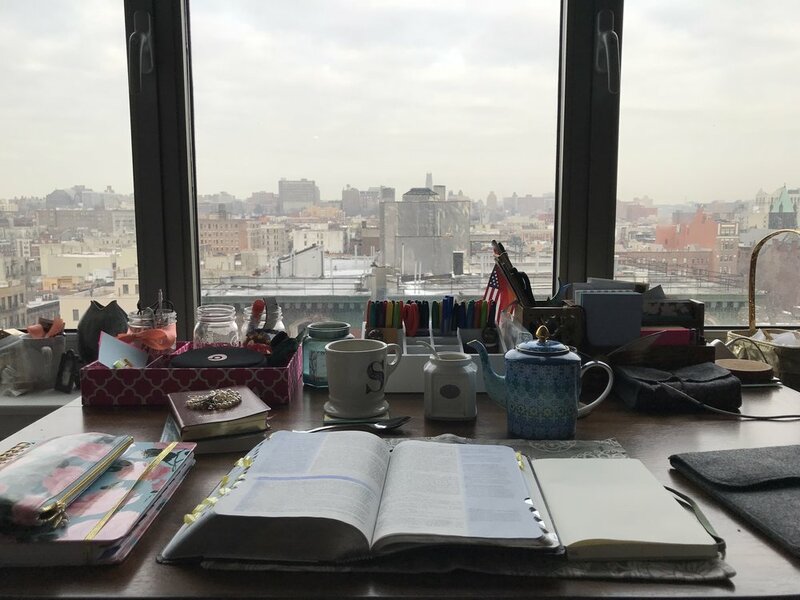 You exist at a unique intersection of human reality that necessitates your resilience, your fortitude, and above all, your capacity for grace and mercy. There will be people. People who, for lack of better words, cannot wrap their small minds around the great and grand diversity of God’s creation. Some of these people will be closer to you than you imagine, and their words will sting. As much as I wish I could take that experience from you, and shield you from it - and believe me, I do - there is always one person who slips through, and shows their ignorance in a way that will stick to you like clothing on a hot day. I won’t tell you how to feel, or how to react - you will have the right to be hurt, angry, and incredulous. But, my dear Isaac, it is crucial that you do not remain that way. These bigoted people, with their small minds, and their ignorance, and their outright cruelty do not and cannot change the truth of the Gospel, the indwelling hope you have because of your salvation, or the immutable fact and ferocity of Jesus’ love for you. Besides, what they understand to be the “truth” of Scripture is, usually, founded in the single-minded, unintelligent reading of God’s word. If we are to truly be followers of Christ we must pursue Him in His entirety - not just by blind faith but by critical analysis, by the application of context, and by an ever-growing knowledge and understanding of history. People will make it their mission to throw everything you love in your face as a form of accusations. I know you love the Lord, and because I know this, it follows in my mind that you love His word. Scripture says some devastating things about being gay, and I won’t repeat them here because they can be triggering, but they’re not necessarily exactly what we think they are. For these purposes, I strongly recommend - actually, I must insist - that you purchase and read God and The Gay Christian, by Matthew Vines. Read it with your Mom and Dad. It will open Scripture up to you in a way that will leave you feeling deeply affirmed and connected to God. Don’t listen to the critics, don’t stray from your faith - keep a strong prayer life and maintain daily study of God’s word. Remember that God knew you before you were formed in your mother’s womb, and that no human action or inclination is a surprise to Him - remind yourself of that as often as you remember. 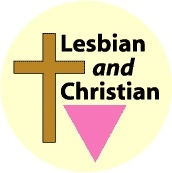 Homophobia, like racism and sexism and xenophobia, is a poison to the body of Christ and cannot be tolerated in any morally sound Christian community or denomination - this is not a choice we made, not a punishment for our parents, and certainly not an act of rebellion. We are gay just like others are straight, and that is definitively that. A Christ centered relationship happens when two consenting adults agree to make Jesus not only Lord of their united life, but Lord of their individual lives as well. As weird as it might feel (or it might not! ), keep your Mom and Dad in the loop. Talk to them, tell them how you’re feeling. No one on Earth loves you like they do. You will be met with critics on the other side, too. The larger gay community is not always friendly to Christians - to be fair, that is mostly because most mainstream Christians are almost never friendly to us. But because of this, it can be very difficult to find friends - and eventually, Lord willing, a life partner - who believe as you do or at least have great respect for what you believe. When you do land somewhere and find yourself getting involved in a gay community - perhaps in college, or once you are out into the working world - you might find that your gay friends don’t always understand your commitment to Christ. That’s okay. Some folks didn’t understand Jesus when He was here the first time. Just be a model of grace and kindness, and perhaps they’ll come to know Him too. There is a rich art, a history, a style that comes with being Black and Gay. It’s hard to put a finger on it, but suffice it to say we’ve created a beautiful history for ourselves that has been gradually and visibly woven into the tapestry of our greater, shared American narrative. I know that you were born and have heretofore spent most of your life in Haiti, but I wish I could show you what New York City is like, or even Atlanta or DC or Los Angeles. We’re everywhere. Bayard Rustin, James Baldwin, Alvin Ailey, Frank Ocean and Mel Tomlinson are just a few of the men who come to my mind when I think about our rich history as a Black Gay community - Black Excellence at its finest. Research these men and learn about their lives - ESPECIALLY James Baldwin. You will be enriched. There’s no phenomenon in the world quite like us - proud Black men and women who stand strong in our identities and don’t let anyone but God tell us who to be or how to love. Isaac, you are just the latest in a long line and a storied history of Black LGBT people who have changed the world for the better, made their mark on society, and really, truly walked in mercy in their time on this Earth. You are Young, Scrappy, and Hungry. You are Young, Gifted, and Black.